Boy/Girl is of OUR caste, rich, good background, parents government employees and blah blah. Such DEALS doesn’t strike every day to everyone. Consider yourself lucky. 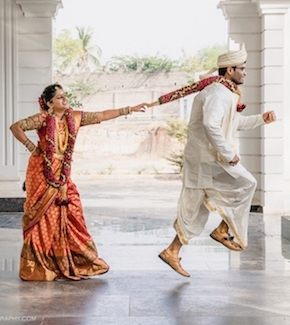 This is perfect wedding time and topmost reasons for getting married. The issue of caste and religion in Indian marriages have destroyed happy love life of many young souls although slowly we are evolving now and appreciating Inter-caste & Inter-Religious Marriages. You are very irresponsible; we want you to be married. Loads of responsibilities will surely bring you back on track in time and save you from getting spoiled; else, you will ruin our image in the society. One time jackpot offer. The boy/girl has returned after studying in foreign. You should not miss this golden opportunity. A double bonanza of luxurious and high status in society. 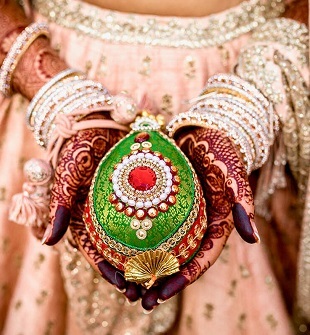 The NRI (Non-Resident Indian) feeling becomes a very lucrative one among many reasons for getting married and surpasses reasons 1 and 2 easily. Here comes in the super-role of “Panditji”. Let alone anybody else, he is going to convince his perspective (CLIENTS) that according to this study, it is going to be the perfect (made for each other) match. Well!!! He is going to get “DAKSHINA” or commission, as may be called, for acting as a (successful) intermediary. This religious factor of “Kundli Milan” and matching is the biggest hit among our Indian society which casts fear and tension if one does not follow the advice of the Panditji. “Sonpur wale uncle(Uncle from Sonpur)/ Padhos wali aunty(neighborhood aunt)” and all other relatives keep asking us about your marriage. It doesn’t look good excusing them time and again. It’s so embarrassing BETA, Don’t you think it’s your parents’ insult. You have to marry to shut their mouths. Please try to understand our problem. Everyone is waiting for the wedding time to come but we cannot sacrifice our dreams and ambitions because your loudmouth and intrusion into our lives are not logical among many reasons for getting married. You want to go abroad for a trip. We have an idea!!! Get married and enjoy your honeymoon in foreign, and there is an icing on the cake, parents are going to finance it as their wedding gift for you. BEWARE– High chances of you being caught here. It’s an extra luring offer to book the wedding time. All your friends are getting married, so you should also do it now. See them!!! They all are not mad; they are doing it because it’s the best wedding time period. From birth till death, a comparison goes on and we keep on running in this rat race one after the other. This peer pressure to get married has devastated many young people from achieving their dreams and emerge out as a single happy-go-lucky person. Your parents and his/her parents are best friends/ business partners/ leading competitors for last 20 years. Both families want to convert this friendship into kinship. It’s the question of your parents’ image dude. You have no option. So it becomes an emotional burden on the poor fellow as a primary among rest of the reasons for getting married. 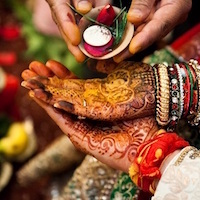 It’s almost mandatory for everyone to get married one or the other day, so, why not today, The famous old saying repeated here, “Kabhi na kabhi to karni hi hai na(you have to do it someday or sometime)”, as if after five essential components of nature, wedding is the sixth one without which one can’t survive. How will your younger siblings get married (Although the younger ones keep blessing you secretly for protecting them and delaying their turn till you are finally caught)? Parents want to be free from their responsibilities and wish to move towards next phase of life i.e. spirituality. , do this bit for them so that their soul grandparents’ last wishIt’s your rests in peace. One should seriously take expert opinions, advice, and tips on how to deal with family drama. For Girls– He is the ONLY boy in the family. You will rule the empire. School was done, college done, job done, now what next. Late marriage means late kids, which is really not a good idea. You are getting old and bald. Who would like to marry you if you don’t look young? People will think there is some problem/abnormality in you, that’s why there is so much delay in marriage. OH, MY GOD!!! (Just in case you are able to win the battle and convince family members for it), then they are not going to give you a single day’s time. Believe Me. You just can’t remain in a relationship without marrying. It’s an emergency!!! No time to spend some more time with each other or still focusing on career, that’s for sure. Finally, you have fallen into the trap and got engaged, now, because there is no “SHUBH- MAHURAT(auspicious time )” for next 4-5 years, you have to surrender. Nobody is going to wait for such long time. Getting bored then get married. From so many days family hasn’t seen any major function. Good enough reason to bring everyone at one place after so long. Your wedding time will be a reunion. Planning the worst– Seeing the current rate of divorce, it’s better getting married early, in case you get divorced, there should be time for another chance. So, my friends, it’s high time, better you find counter answers to these reasons, else, the wedding bells are soon ringing for you. BE WELL PREPARED, lest you fail in this exam of life and are found running helplessly at your wedding time.